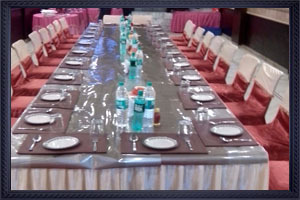 Hotel Crown Royale offers best facilities for any type of conference hall is a delight for any & every business activity. Dedicated to the convenience and comfort of meetings and events, the true tradition of a fine business hotel is reflected in the excellent meeting facilities at Hotel Crown Royale. Whether you are planning a Small workshop, a management seminar, trade or product launch, training session or any other business related get together Come to us & we can customize our facilities to meet your individual needs and ensure that it becomes a successful & memorable event. We've got what you need for a perfect business meeting, be it a round table discussion or a power packed convention. Our team of professionals can cater to the smallest business arrangement that is needed to make your event a success regardless of the nature or scale.